On January 20, 1942, fifteen high-ranking Nazi party and German government leaders gathered for an important meeting. The meeting or conference (as it came to be known), was organized by Adolf Eichmann (SS-SturmbannfŸhrer), at the order of Reinhard Heydrich, Chief of the German State Police and of the SD ("Sicherheitsdienst", "Security Service of the SS"). 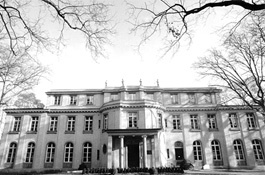 The conference was held in a suburb of Berlin at a villa by a lake known as Wannsee. The goal of this conference was the debate of the so-called "Final Solution of the Jewish Question". Heydrich wanted to harmonize the organisation and implementation of that "Final Solution" with every office and administrative department that was to participate in it. Fifteen people attended the conference including high ranking party officials and SS- officers from the "Reichssicherheitshauptamt" (RSHA, "Central Security Office of the Reich"), as well as two representatives of the "Ministry of the Occupied Regions in the East", one representative of the Ministry for the Interior, one representative of the "Commissioner of the Four-Year-Plan", one representative of the Ministry for Justice, one representative of the Office of the "General Governor of the occupied Polish Regions", and one representative of the Ministry of Foreign Affairs. Heydrich opened the meeting with the announcement that Hermann Göring, the Commander-in-Chief of the Luftwaffe, President of the Reichstag, Prime Minister of Prussia, and last but not least the designated second in command in the National Socialist hierarchy. Adolf Hitler had granted him an extensive degree of power which included the coordination of all anti-Jewish measures. The purpose of the meeting was to outline the newly planned Final Solution would entail the rounding up of all Jews throughout Europe. They would be transported eastward and organized into labor gangs. Work and living conditions would be extremely harsh as to kill large numbers by natural reduction. Any survivors would be treated accordingly. Treated accordingly was euphemism for extermination. 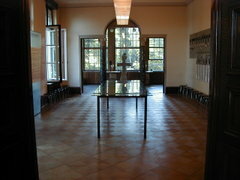 The final protocol of the Wannsee Conference never explicitly mentioned extermination, but within a few months after the meeting, the first gas chambers were installed in some of the extermination camps in Poland. These six camps, Belzec, Birkenau, Chelmno, Majdanek, Sobibor, and Treblinka were in operation in Poland. Responsibility for the entire project was placed in the hands of Heinrich Himmler, Reichsführer-SS, and head of the Gestapo and the Waffen-SS. The Wannsee Conference did not mark the beginning of the "Final Solution." 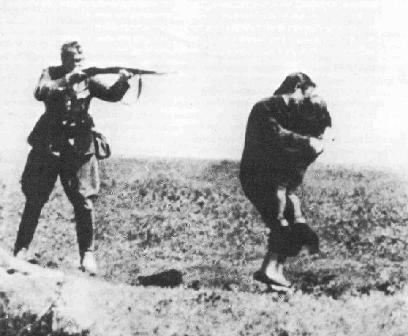 The mobile killing squads were already slaughtering Jews in the occupied Soviet Union. Rather, the Wannsee Conference was the place where the "final solution" was formally revealed to non-Nazi leaders who would help arrange for Jews to be transported from all over German-occupied Europe to SS-operated "extermination" camps in Poland. Not one of the men present at Wannsee objected to the announced policy. Never before had a modern state committed itself to the murder of an entire people. The table below details the fate of those participants of the Wanssee conference. 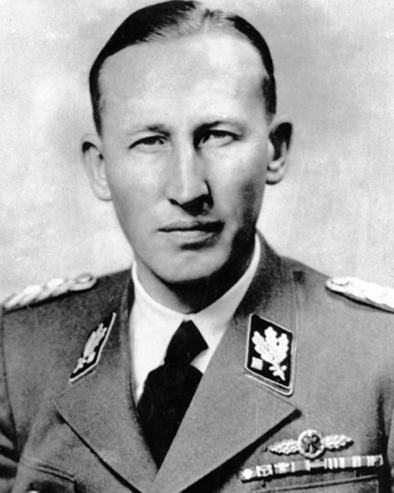 Reinhard Heydrich was assassinated in Prague in June 1942. Roland Freisler was killed in an air-raid in Berlin in February 1945. Rudolf Lange was killed in action in Poland in February 1945. Alfred Meyer killed himself in April 1945. Heinrich Müller was last seen in Berlin on 30 April 1945. His fate is unknown, but he probably died in Berlin in the next few days. Martin Luther finished the war in a concentration camp after falling out with Foreign Minister Ribbentrop, and died in Berlin in May 1945. Karl Eberhard Schöngarth was executed for war crimes (killing British prisoners of war) in May 1946. Friedrich Wilhelm Kritzinger was acquitted of war crimes and died in October 1947. Josef Bühler was tried in Poland for war crimes and executed in Krakow in July 1948. Erich Neumann was briefly imprisoned and died in mid 1948. Wilhelm Stuckart was imprisoned for four years before being released for lack of evidence in 1949. He was killed in a car accident in November 1953. 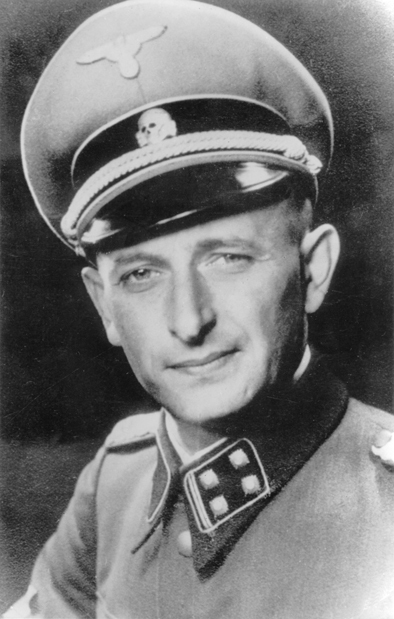 Adolf Eichmann was executed in Israel in May 1962. Georg Leibbrandt was charged with war crimes but the case against him was dismissed in 1950. He died in June 1982. Otto Hofmann was sentenced to 25 years in prison for war crimes, but was pardoned in 1954. He died in December 1982. Gerhard Klopfer was charged with war crimes but was released for lack of evidence. He died in January 1987.